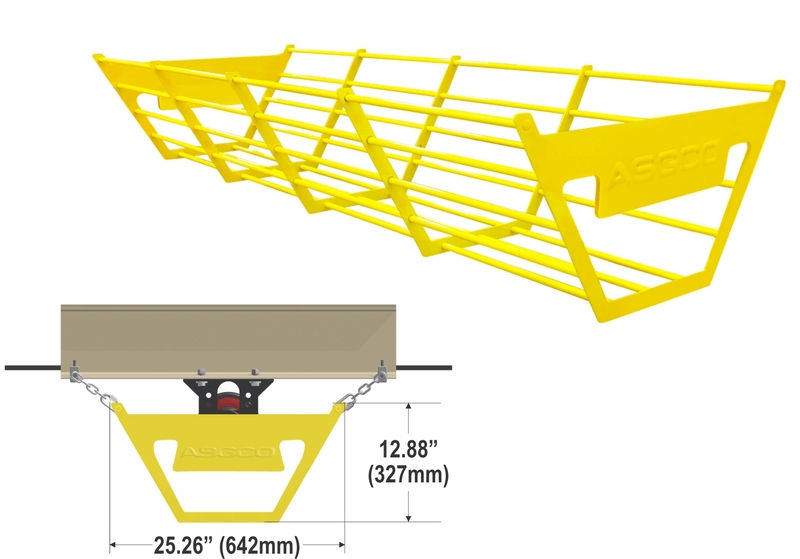 The Safe-Guard® Return Idler Cage was designed to catch the return roller applications from falling, preventing injuries to workers and to equipment. 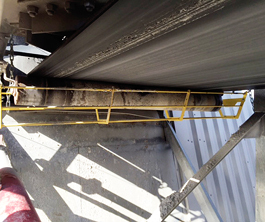 The Safe-Guard® Return Idler Cage is a cost effective, long lasting solution to your conveyor guarding needs. 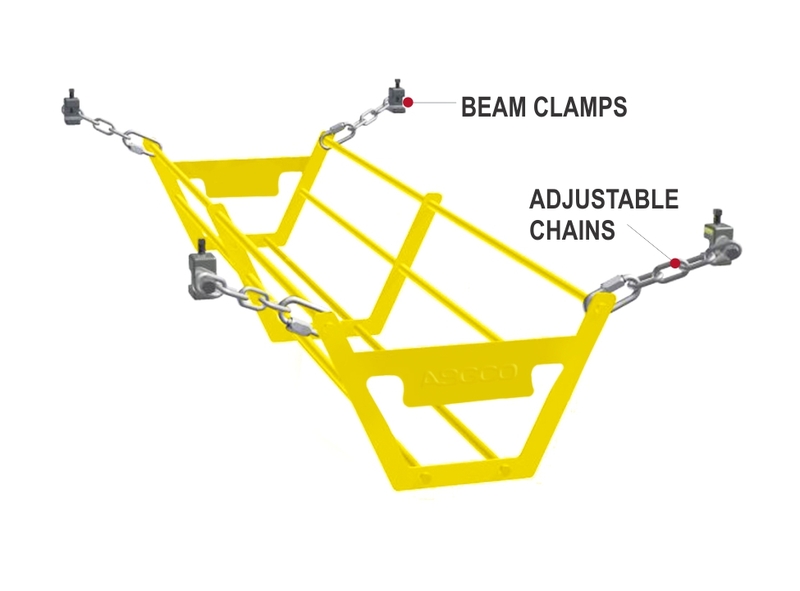 injuries from falling idlers onto unsuspecting workers or equipment. 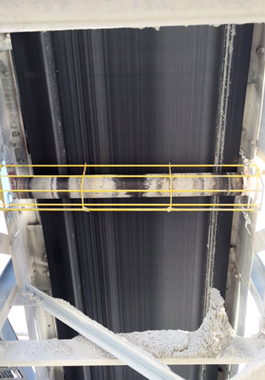 Open slots prevent material build-up. 4” – 7” diameter rolls. 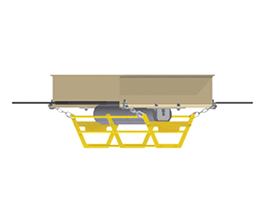 Designed to protect conventional tracking idlers throughout the market. 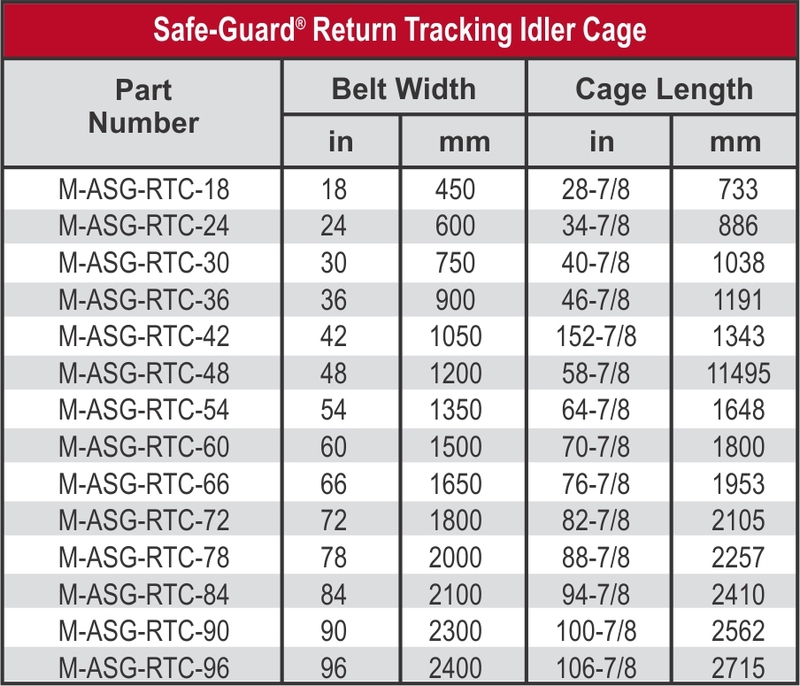 The Safe-Guard® Return Idler Cage is designed to restrict contact with the return idler while the conveyor is running. 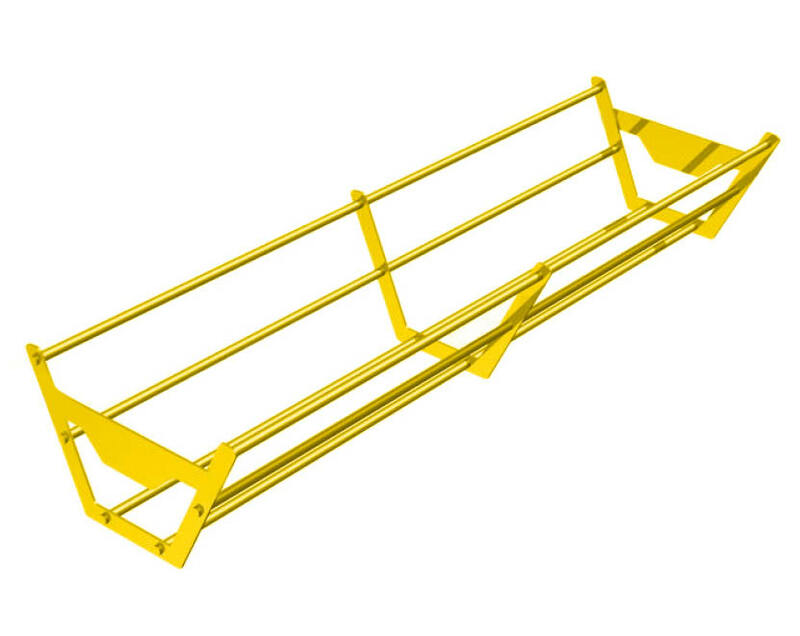 Installation of this guard does not supersede any other safety procedures of safety practices. Failure to observe all instructions could result in serious injury. 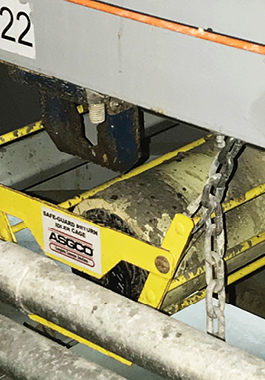 It is the owner’s responsibility that the owner and each operator read and be familiar with the ASGCO® Installation Guide. 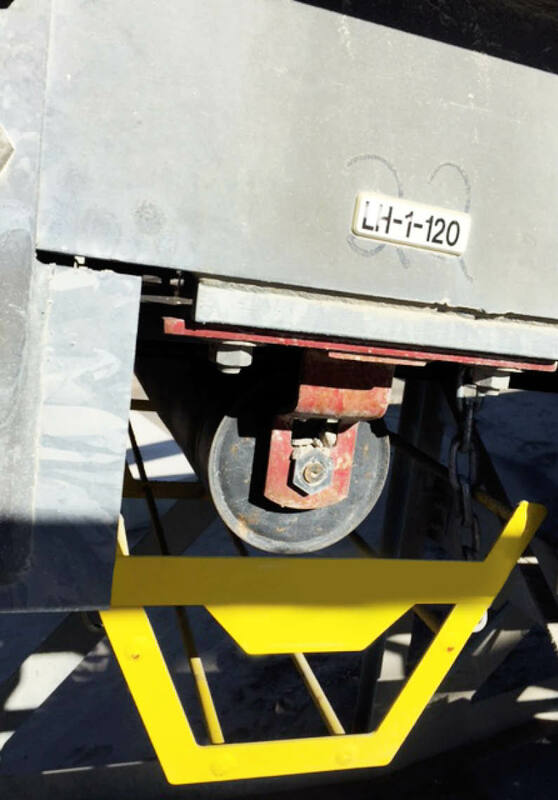 It is the owner’s responsibility to adjust the Safe-Guard® restricting all contact with the turning idler.